These simply magnificent ring features a stunning explosion of 17 vibrantly coloured tears. Aptly named 'Love Explosion', these rings are ultra-stylish and contemporary, created from Stainless Steel and translucent synthetic Resin. 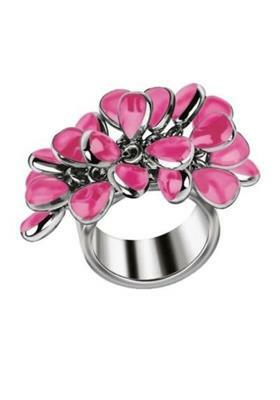 These charming rings make an excellent present for jewellery lovers of all ages! Please Note: This is an end of line product and will therefore come without a warranty.